Dorothy Matte Shopper. 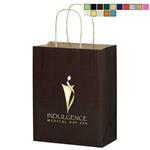 Matte paper shopper with serrated cut top and twisted kraft paper handles.Available in an array of attractive colors. 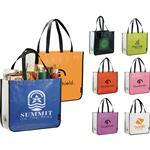 Perfect for upscale retail or gift bags. Would you like help finding something else? Contact our helpful salespeople at 888-332-ADCO. Production Times Available: Standard 5-7 Working Days with Paper Proof. Please inquire for Rush Pricing. Serrated cut top and twisted kraft paper handles. 10W X 5 X 13H. 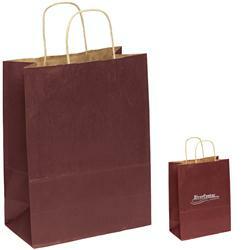 Custom Paper Shopper Bag.